Does the NFL have its version of a “five-tool” player? If you are a baseball fan, you know about the five-tool player. It’s that player who can hit for average, hit for power, has outstanding fielding skills, a great arm and fantastic speed. Maybe the NFL doesn’t have its version of the five-tool player, but it may want to figure out what to call a player like Randall Cobb. 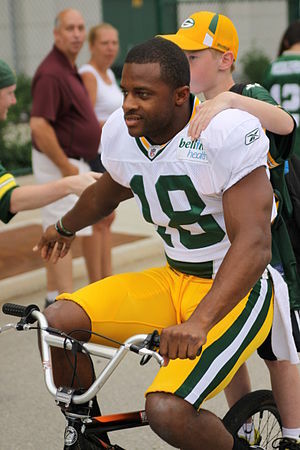 Cobb in 2012 amassed 132 yards rushing, 954 receiving yards, 292 punt return yards and 964 kickoff return yards. With his 2,342 yards via rushing, receiving and kick returns, Cobb became the 34th player in NFL history to have over 2,300 all-purpose yards in a season.